Fareed Shiek LLP (FSLLP), specializes in delivering quality assurance services second to none. We specialize in serving small to medium size businesses (from $1M to $500M in revenue) with professional assurance services. At FSLLP we have the expertise in quality assurance services across all industries which enables us to identify the challenges and opportunities associated with your business. We have the skills, resources and experience in handling any kind of assurance engagement with any kind reporting framework (IFRS, IAS ASPE etc). When you engage FSLLP be assured that you will have peace of mind in getting the assurance engagement completed on time with professional execution. We at FSLLP do not stop at completion of the engagement but rather perform beyond and assist our clients in achieving their goals and objectives by strengthening their control environment. Being a proud member of Canadian Public Accountability Board (CPAB) FSLLP is qualified to perform assurance engagement to public listed companies. 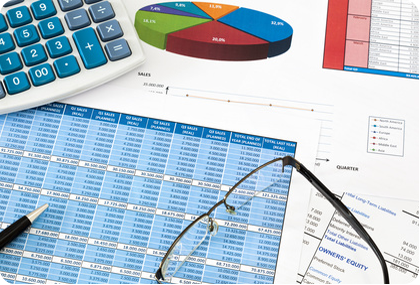 The purpose of a financial statement audit is to add credibility and reliability to the reported financial position and performance of a business. The auditor expresses his/her opinion whether the financial statements accompanied by his report is reliable or not based on the audit procedures that the auditor performed. An audit is generally required when outside third parties like government agencies, Banks,Lenders, Vendors etc, require an auditor’s opinion on the financial statements. The assurance level is lower in a review engagement than audit engagement as the auditor performs limited assurance procedures. The auditor assesses whether the information provided in the financial statements is plausible by performing mostly analytical procedures and discussion with the management. A review engagement is performed based on specific request from the client’s lenders, investors, or regulators. Compilation is performed when an auditor just prepares the financials statements of a client from the information provided by the client without performing any audit or review procedures. The auditor prepares the financial statements according the applicable reporting framework such as IFRS, IAS or ASPE and issues a “Notice to Reader” cautioning the readers that the accompanied financial statements were not audited or reviewed and cannot be relied upon. This engagement provides the lowest level of assurance.